Step 1. 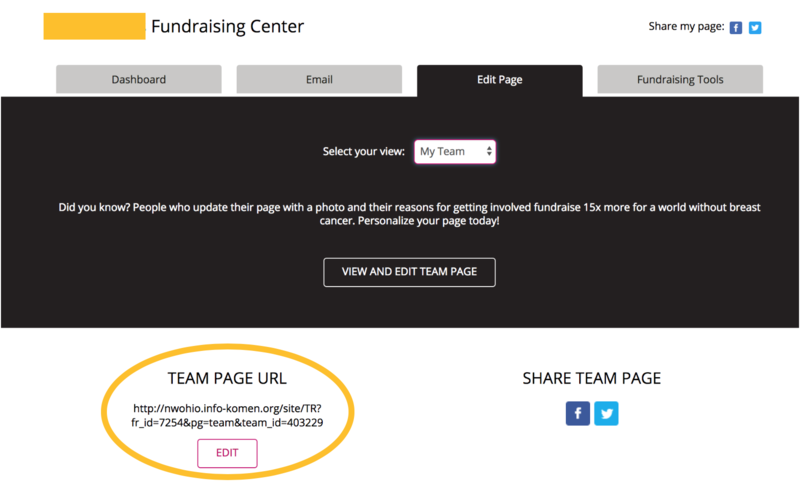 Log into your fundraising center. Step 3. Click “EDIT” under Team Page URL. Step 4. Enter a custom name for your team and click SAVE. You may need to be a little creative. Step 5. 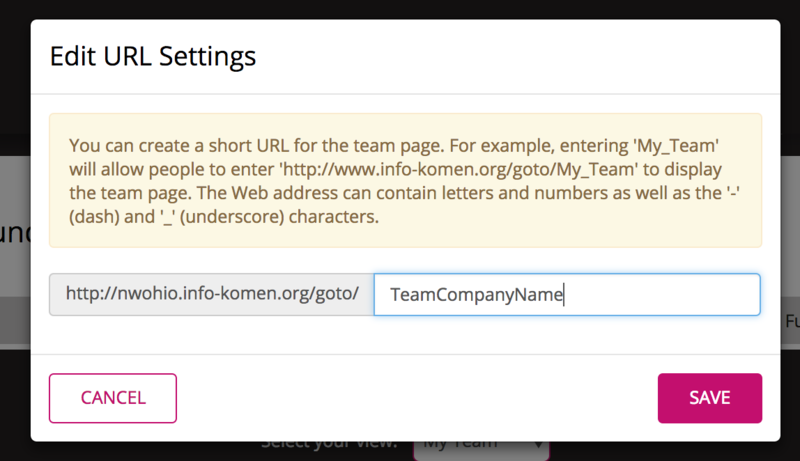 Your Team Page URL is now customized! 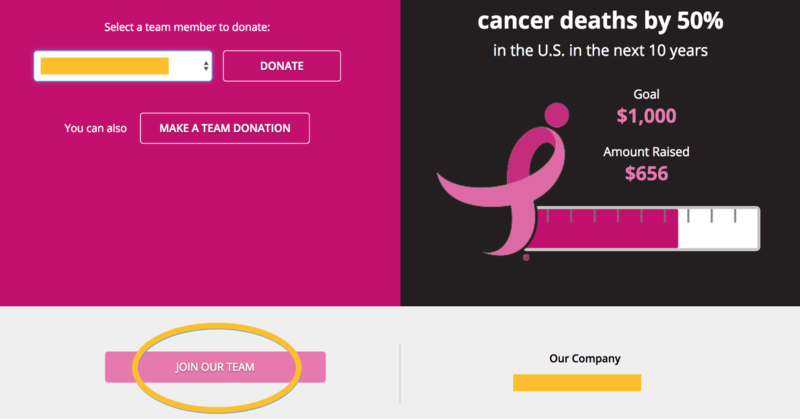 When you share the link with those who have not yet registered, the “JOIN OUR TEAM” button will appear. 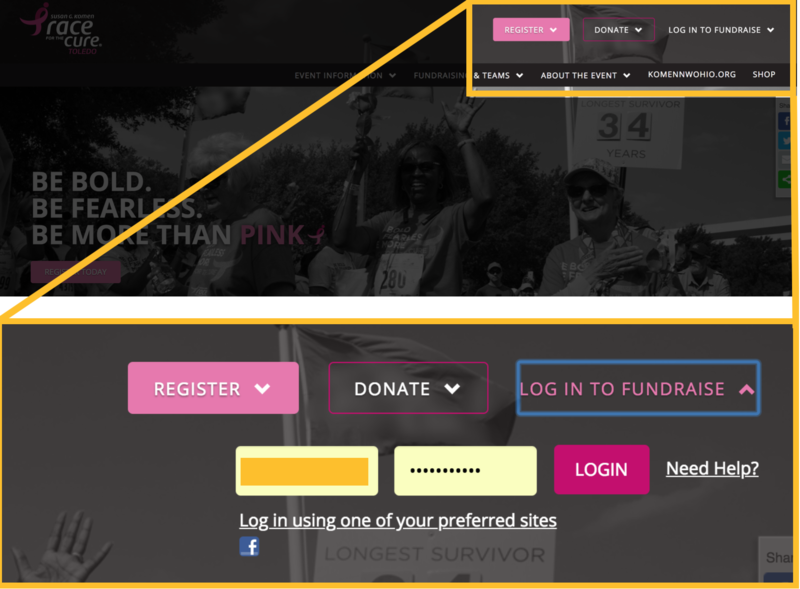 If the person has already registered for the 2018 Race for the Cure, it will display donation information.